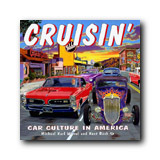 Cruisin': Car Culture in America examines all aspects of the universal automotive pastime known as "cruising,", including the cars, the rise of youth culture, street racing, drive-in restaurants, drive-in movies, cruisers versus the law, Detroit's role, "classic" cruising venues like Detroit's Woodward Avenue, Main Street, popular culture and more. 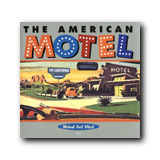 The American Motel recalls the evolution of yesterday's hotels, motor camps, and tourist courts into the sleek, franchised, leisure motels of today. For those who long for the days of two-lane highways lined with neon signs, drive-ins, and "Mom and Pop" motor inns, here is a key to a time when a night in a motel wasn't just an interruption to a vacation, it was part of the fun.